Discussion in 'Gen 4 Prius Main Forum' started by tucatz, Mar 21, 2019. 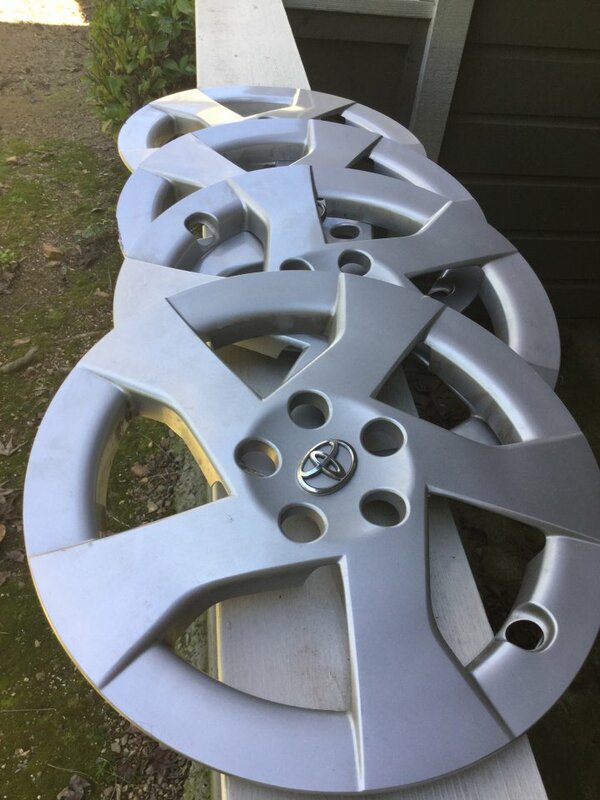 I have a set of (4) 15” wheel covers for sale. They are an older style, were on my 2010 prius, but fit any of the Prius up to now. A few minor scratches but overall in great condition. Asking $80 plus shipping. *note to moderator* I posted to the main forum but you may move to more appropriate list. Thanks. What's under the wheel covers?